Howl at the Coyote Moon! Night/Chronicles-Crisis/Ballet reading at Mac's Backs tonight! Tonight, three poets will bring their own unique brands of poetry to a very special event: the first joint NightBallet Press/Crisis Chronicles Press featured reading, in conjunction with the famous Mac's Backs Books reading series. Call it our Night/Chronicle-Crisis/Ballet event! T. M. Göttl will debut her book A Hurricane of Moths (published New Year's Day 2012 by NightBallet Press), J. E. Stanley will read from his new chap Rapid Eye Movement (published late 2011 by Crisis Chronicles Press), and Terry Provost will perform poems from An Uncountable Infinity Of Orgasms (published late 2011 by NightBallet Press). The poems contained in these chaps hum with energy and echo with excitement, and you won't want to miss the opportunity to hear them read by the poets themselves! Of course, these chaps will be available at the reading, through the authors who will have copies for sale, though publishers Dianne Borsenik and John Burroughs, and from Mac's Backs- Suzanne DeGaetano bought several copies to sell at the store. 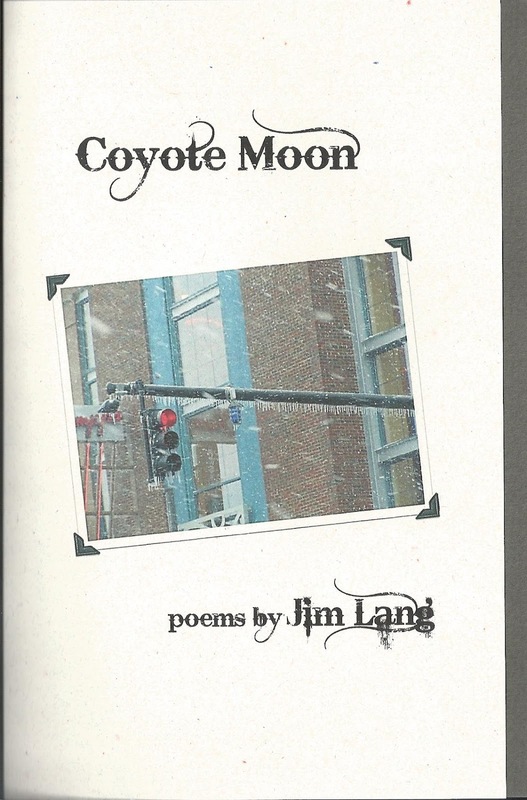 Also tonight, Cleveland poet Jim Lang's new chapbook Coyote Moon debuts!!! Published yesterday on the February full moon, this book contains classic and new poems, graphics, and insights from seven decades in the life of a legendary poet/photographer. Jim Lang will be a featured reader at next months's Mac's Backs/NightBallet/Crisis Chronicles event, March 21, but you don't have to wait a month to read his book! Get your copy tonight and be a step ahead of the crowd! Tonight! 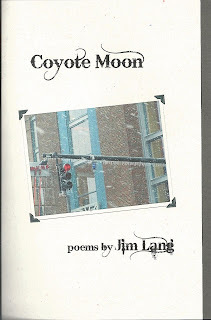 See and experience T. M. Göttl, J. E. Stanley, and Terry Provost, get first look at Jim Lang's new chap Coyote Moon, and get your poetry groove on at Mac's Backs Books, 1820 Coventry Road, Cleveland Heights, Ohio, 7pm.